Banking on our We are a top-notch organization, engaged in providing Teddy Bag. We are offering Golden Brown Kids Bag to our clients. - Elegance, style, fashion and comfort- all rolled into one. 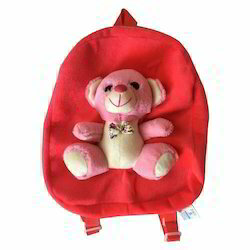 SBT present teddy bear bags for girls, it has a vibrant and stylish design, along with the added benefit of spacious interiors. Made from polyester, this backpack is multicoloured .it also has multiple compartments with zipper two side pockets, a top loop and two adjustment shoulder straps. This backpack also has a back panel that provides comfort and back support. Multiple Colors(Pink, Blue, Brown, Red) available, will be sent as per availability. 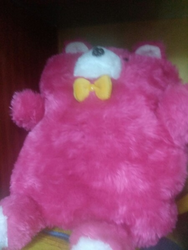 Our company has been successful in winning appreciation from the clients as one of the most prominent names in supply of Teddy Bear School Bag. We are a top-notch organization, engaged in providing Teddy Bear Bag.